MANGA KAMISHIBAI is full of ninja and maskedmen! 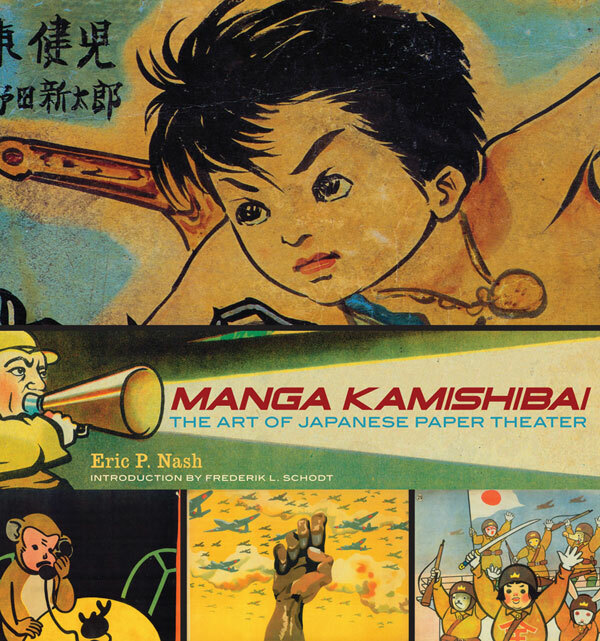 I was already down with owning Eric Nash‘s Manga Kamishibai: The Art of Japanese Paper Theater, a great look at the all-but-extinct art of panel-art based itinerant pop-theater. Imagine an actor gathering dozens of kids around a portable wooden box akin to a puppet show stage, then narrating colorful panel art akin to manga. As the panels flip, the adventure builds and the actor/narrator gets more and more dramatic. Well, we don’t have the wandering panel theater anymore, but thanks to this gorgeous 300-page hardcover from Abrams Comicarts we do have an archive of a half-century of graphic art. And like any Japanese mass-media, it had its ninja element! 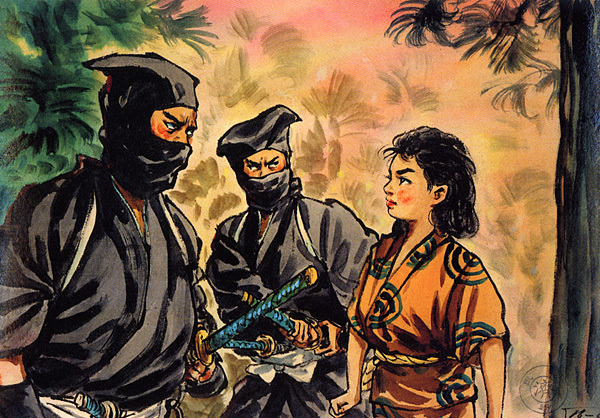 There are no dates provided for the artwork - the plays were performed far and wide from the 30's to the 70's - but this piece from "Ninja by Night" is either a direct rip on KAMUI or its direct influence. 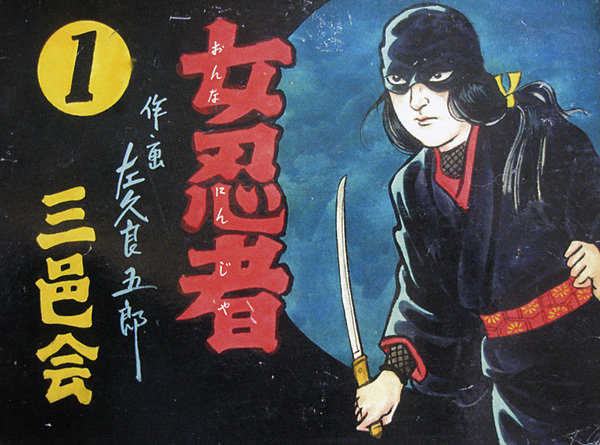 Several other shinobi paintings appear throughout the book, alongside some great Golden Bat-like anti-heroes and other masked characters. NIF-TEEE! Buy it on Amazon here or click on our affiliate store link to the left for this and dozens of other must-own books and movies.